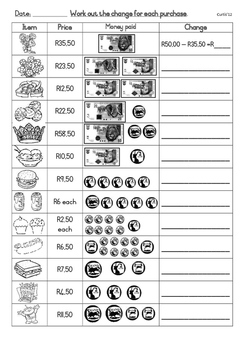 A grade 3 money worksheet in South African Rands. This worksheet is in a table format. The children only have to work out the change from the coins and notes that have been paid.